Having close friends is an important part of the female experience from girlhood through womanhood. These friends might be especially valuable when the woman's position is exalted, public, and potentially treacherous — such friendships take on an even more important role. When Oprah Winfrey started her empire she brought along Gayle King. When Kate Middleton was preparing to become Catherine, Duchess of Cambridge her sister Pippa was her constant companion. And when Queens went to court, and stayed, they took their friends, too. In Tudor England, Anne Boleyn asked her longtime friend Margaret (Meg) Wyatt to stay with her throughout her ascent and then her queenship; Wyatt ultimately became her chief lady and Mistress of Robes and likely served Anne all the way to the scaffold. Henry VIII told Queen Kateryn Parr that she should "choose whichever women she liked to pass the time with her in amusing manners or otherwise accompany her for her leisure," and she did - mostly reformers like herself. Queen Elizabeth I had ladies from all families and factions serve her, but she seemed to be closest to her Boleyn relatives, such as her cousin Katherine Carey Knollys, whom she could trust without question. Queens often surrounded themselves with family members, hoping that they could trust in their loyalty because as the queen gained influence, so advanced her family. Ladies-in-waiting were companions at church, at cards, at dance, and at hunt. They tended to their mistress when she was ill or anxious and also shared in her joy and pleasures. They did not do menial tasks — there were servants for that — but they did remain in charge of important elements of the Queen's household, for example, her jewelry and her clothing. As such, they were intimate gatekeepers, there day and night. They were privy to the queen when she had her makeup off and was in her dressing clothes and were high enough born to share some secrets with. Because of this, they knew the real woman. In her excellent book, Ladies in Waiting, Anne Somerset quotes a lady-in-waiting to Queen Caroline as saying, "Courts are mysterious places ... Intrigues, jealousies, heart-burnings, lies, dissimulations thrive in (courts)as mushrooms in a hot-bed." This is exactly the kind of place where one wants to know whom one can trust. Somerset goes on to tell us that, "At a time when virtually every profession was an exclusively masculine preserve, the position of lady-in-waiting to the Queen was almost the only occupation that an upper class Englishwoman could with propriety pursue." Although direct control was out of their hands, the power of influence, of knowledge, of gossip, and of relationship networks was within the firm grasp of these ladies. I like to write about women wielding whatever power they had, ascribed or taken, using their influence both overtly and subtly. Ladies-in-waiting did just that. Appointment was not only by the personal choice of the queen or the king, but a political decision as well. Queen Victoria's first stand took place when her new Prime Minister, Robert Peel, meant to replace some of the ladies in her household to reflect the bipartisan English government and keep an even political balance. According to Maureen Waller in Sovereign Ladies, Victoria was adamant. "'I cannot give up any of my ladies,' she told him at their second meeting. 'What, Ma'am!' Peel queried, 'Does your Majesty mean to retain them all?' 'All', she replied." I love to write about loyalty among friends, and queens had loyal friends, and were loyal friends, in return. When ladies-in-waiting turned and became disloyal, as did Sarah Churchill to Queen Anne, they were very often severed from court. Even today, the British Sovereign, Queen Elizabeth II, relies on ladies-in-waiting; two of them, Susan Hussey and Mary Morrison, have served her for more than fifty years apiece. 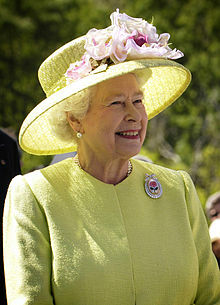 Sally Bedell, in her book, Elizabeth the Queen, a Modern Monarch tells us that "... the queen from the outset has surrounded herself with an equally capable group of ladies-in-waiting, organized into a strict hierarchy, with medieval titles and clearly delineated tasks." Further, "all the ladies in waiting are adept at circulating through receptions, running interference for their boss by engaging overeager guests in conversation, or arranging for introductions." When we twenty-first century women wonder who's got our backs, the answer is very likely our friends, who we trust implicitly and walk through life with. Our friends wholly know us, strengths and blemishes alike. When I write about a queen, I want to know the woman behind the gown and crown. This is why I love writing about Ladies-in-Waiting. We have 2 copies of The Secret Keeper to give away. One US only and another worldwide. Please leave a comment on this post to enter. The winners will be announced on August 2nd. And don't forget to return tomorrow for our review of The Secret Keeper. I keep seeing this book around and would love to win a copy! I would love to win a copy! Thank you for this great giveaway! Thanks for writing about ladies-in-waiting. Thanks for the giveaway. I would like to win a copy. Thank you for the giveaway! Please count me in for the international section! What an interesting post! I had never even thought about the current Queen Elizabeth having ladies-in-waiting. Would love to win a copy of this book. Thanks for the giveaway. Thanks for such an interesting subject. I would love to be included in the giveaway. 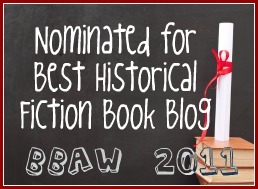 I'm a new historical fiction reader and am loving it. Wish I had tried it years ago. This was a very interesting Why I Love. I like the connection to between the past and the present. Thanks for stopping by Historical Tapestry! What an interesting post. I never thought of ladies-in-waiting as not being servants. Would love to read this book. I'm always fascinated by the way women retain power in male-dominated worlds. Thanks for an illuminating peek into this world. Always happy to be introduced to a new author and I haven't read Sandra Byrd's books yet. I want this book so much ,because I love historical fiction, I would love to win a copy because in Romania this book hasn't been released. I am so glad I found your web site. I love historical fiction and especially set in England. I would love to win this book. I don't know what I would do without my best friend. We have each others back always. Although they were queens, I'm sure they felt the same way we do today about our closest girlfriends. This book is on my wishlist. Thank you for the opportunity in this giveaway. What a wonderful gift someone will receive! This is great! Count me in for the US giveaway. 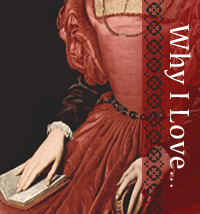 I have been very much into the Tudor history lately and would love to win this book :) Thanks!! !